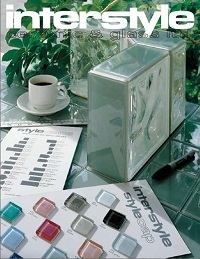 Stylecap imparts a flawless finish to your glass block installation. 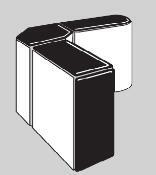 Used on the tops and sides of partition walls, shower stalls and anywhere else the block has an exposed edge, Stylecap is designed to finish the edges of glass block. It provides the crowning touch for any glass block creation. Manufactured by Interstyle, a respected manufacturer of authentic glass tile, Stylecap's colors are created with kiln-fired ceramic glazes.